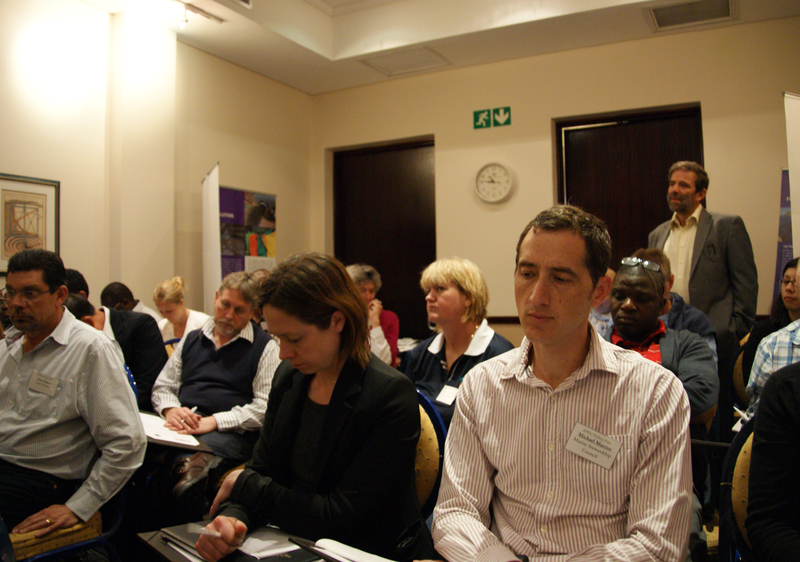 On Wednesday 23 October, the Environmental Economics Policy Research Unit (EPRU), hosted the EfD Policy day at Commodore Hotel, Cape Town, South Africa. The policy day brought together policy makers from various governmental levels, practitioners, NGOs, international and national researchers. The purpose of the day was twofold: first to identify South African policy makers’ research priorities as input to EPRU’s work; second to highlight examples from EPRU’s research and capacities. The policy day included three distinct sessions focusing on fishery economics, biodiversity and conservation, and climate change. 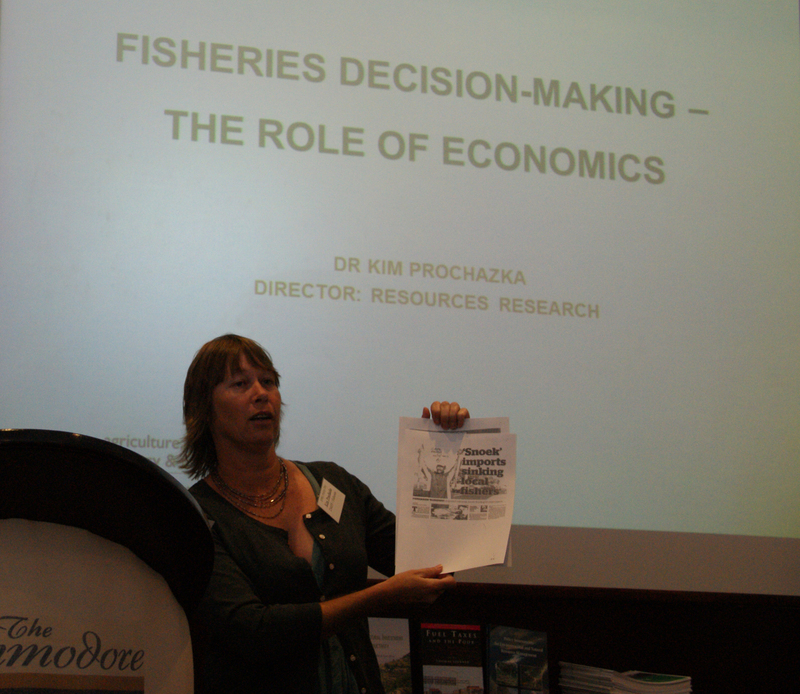 In the first session, Kim Prochazka, Department of Agriculture, Forestry and Fisheries, presented a range of research question where economics can provide valuable contributions. These included various efficiency and distributional implications of when to fish or not, who should be given the right to fish and how, how to monitor compliance etc. Tony Leiman, EPRU center director, gave an overview of research questions that EPRU has worked on in recent years acknowledging that economics can only be complementary to natural sciences research. The discussion that followed allowed all participants to propose topics and ask questions. There was broad agreement that a particularly important research topic is to evaluate the upcoming reform related to communal rights for inshore fishing. What are the impacts of reform on fisheries, fishermen who previously had fishing rights and how benefits are shared? A number of participants from South Africa pointed out that experiences from devolution of other forms of communal rights for agriculture had performed poorly. Another strong message from policy makers to researchers was a call for more multidisciplinary work involving natural sciences, economics and possibly other social sciences. At least researchers should be well informed of each other’s work and make sure that case studies are made in the same area. Jane Turpie of EPRU gave an overview of the toolbox of environmental economics and how it can be applied to a number of research questions of relevance for biodiversity and conservation. Mandy Driver from SANBI presented their work and gave an overview of economic related research needs. 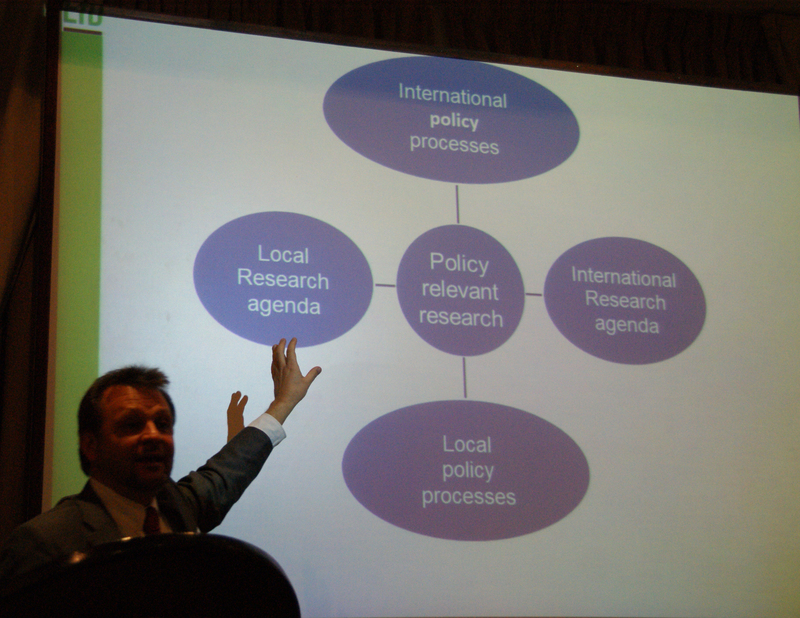 She also pointed to the important role of intermediaries to bring research findings to policymakers. Research topics included; what proportion of the wildlife industry is linked to biodiversity? 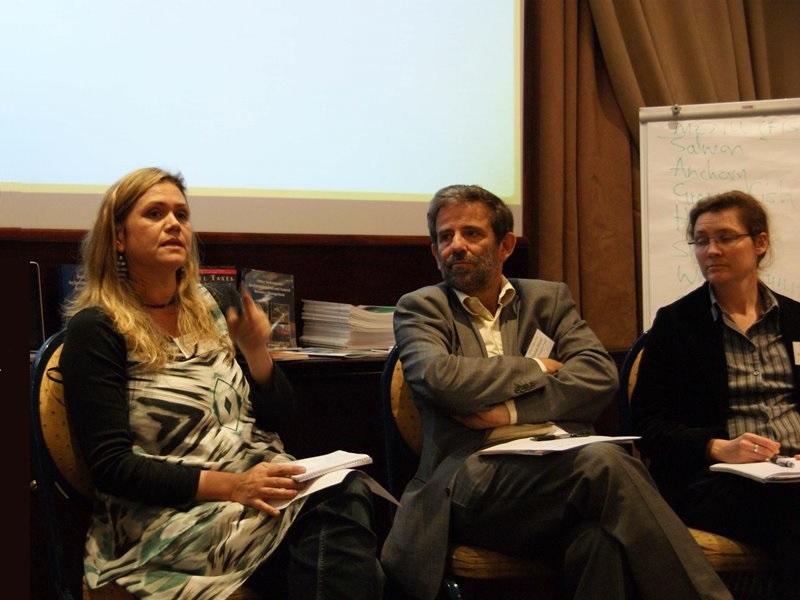 What is the importance of South Africa’s biodiversity assets to jobs and livelihoods? What are the returns from investing in ecological infrastructure? The third session focused on climate change. Thomas Sterner, University of Gothenburg and Visiting Chief Economist, Environmental Defense Fund, is lead author on policy instruments chapter for the upcoming IPCC report. He provided a scientific background to the topic and the importance of taking action now despite the political challenges involved. He used Germany as a good example of political and technological leadership, not least through use of feed in tariffs for renewables that has contributed to drive down the costs of solar and wind power. Martine Visser highlighted parts of EPRU's work including the use of experimental economics to increase understanding of how vulnerable groups adapt to flood risk or farmers responses to climate variability and change. Helen Davies, from Western Cape provincial government and Sarah Ward from the City of Cape Town gave their views of important research needs. Provincial examples ranged from the costs of not addressing climate change, to more analysis of the economics of food-water-energy nexus, efficient use of land to provincial impacts of carbon tax at national level. Examples from the city of Cape Town included how to stimulate behavioral change for greater energy efficiency, economic impacts of green procurement and efficient revenue models for resource taxes to avoid perverse incentives not to save energy. Questions were asked to the panel, not least related to how provincial and city policies are aligned to decisions at the national level and how the government’s agenda for growth and jobs was aligned with sustainable development. Participants appreciated the discussions and stressed the need continue the dialogue at more detailed level to narrow down the agenda. Mare Sarr concluded the policy day by thanking the participants for valuable inputs to EPRU’s research agenda and acknowledged EPRU’s responsibility for and interest in continuing the dialogue to drill down to identify common grounds for research.